Do you have a bunch of nagging tasks that you need to take care of? 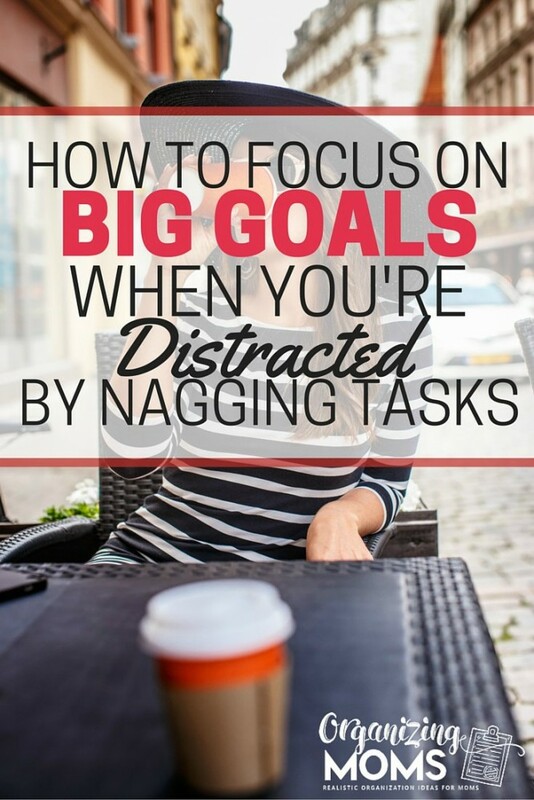 Even though nagging tasks, like hanging pictures or vacuuming out your car, are easy to put off, they could be keeping you from reaching your big goals. Nagging tasks are distracting. Even if you put them off, you still expend energy thinking about them. If you have a lot of nagging tasks, that can end up being a lot of thought-space wasted on the non-essential things. Experts in time management and goal setting will tell you that you should only focus on the most important things in order to reach your goals. This is true, but I think you can reach your big goals a lot faster if you set aside time to take care of those nagging tasks. Getting them done leaves you feeling accomplished and less distracted. This week, I was listening to the Happier podcast with Gretchen Rubin, and she talked about the idea of a Power Hour. 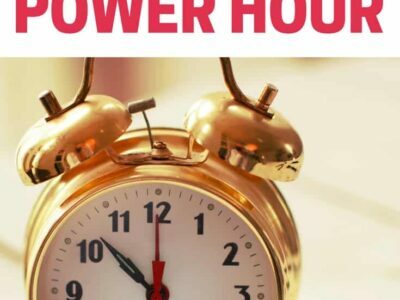 According to Gretchen, a Power Hour is “a single habit to cover a bunch of non-recurring, highly diverse tasks.” It’s an hour that you schedule to do all of those random things you never get around to doing. I think I have enough random tasks to fill a Power Week, but I decided to do a Power Hour this week to see how it worked out. I set my timer for one hour, and got to work. Hung a picture – It had been sitting on the floor for over a year. Even though I wasn’t looking forward to the Power Hour, after it was over, I felt like I’d really taken a lot of annoying stuff off my plate. It helped me to better focus on more important things. 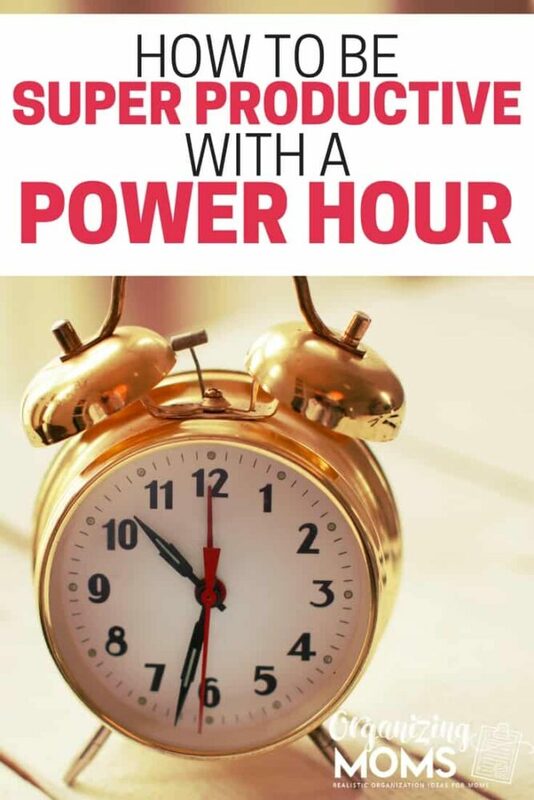 Depending on your situation, you might have a lot of ideas for things to do during a Power Hour, or you might only be able to think of a few things. To make your Power Hour as effective as possible, you could track the nagging tasks that distract you over the course of a week. Once you have a good list together, you’ll know what to do for your next Power Hour. 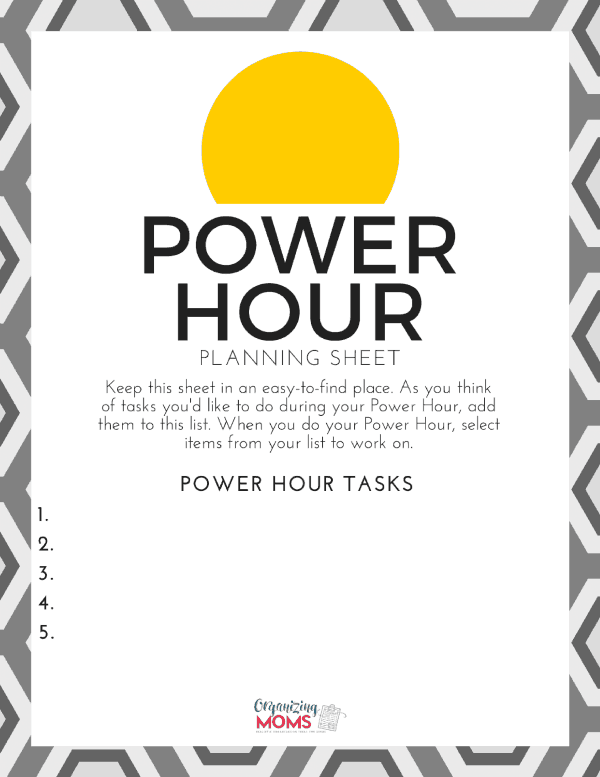 To help you map out your Power Hour tasks, you can download this Power Hour Planning Sheet. Keep it in an easy-to-find place, and add tasks to the list as you think of them. You can sign up to get the free planning sheet at the bottom of this post. What kinds of non-urgent tasks have you been putting off? Have you ever tried to do a Power Hour? Plan Out Your Power Hour! Make the most of your own Power Hour with this handy planning sheet. It's a free printable offered to Organizing Moms email newsletter subscribers! Success! 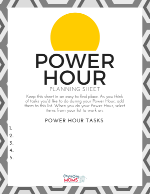 Now check your email to confirm your subscription and download your Power Hour Planning Sheet. I'm ready to do a Power Hour!